Do you like cherries? 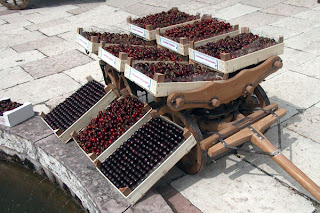 If so, you may be interested in the 17th "Mostra della ciliegia" (Cherry show) held on Sunday May 27th 2007 at Maser (TV) Italy. For more information (in Italian) you may visit the event website: www.mostradellaciliegia.it.